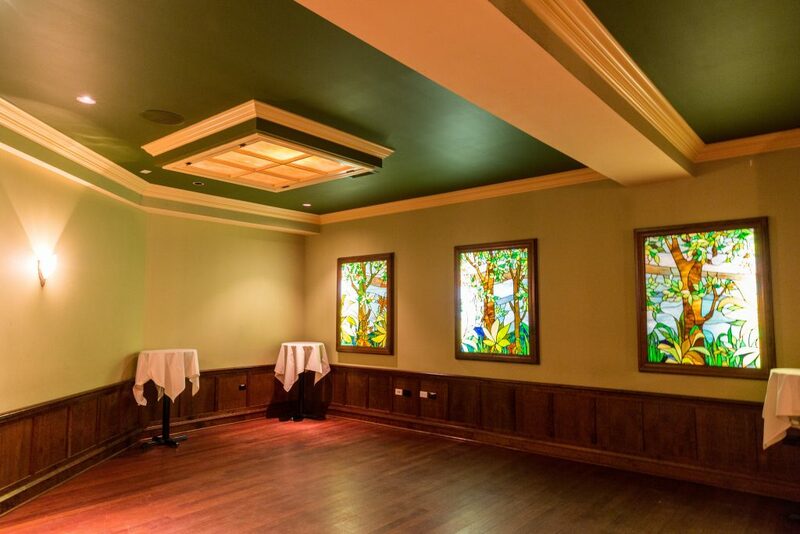 Fabulous stained glass panels recovered from legendary Chicago restaurant, Zum Deutschen Eck, line the walls of this intimate dining room which houses an open fireplace. 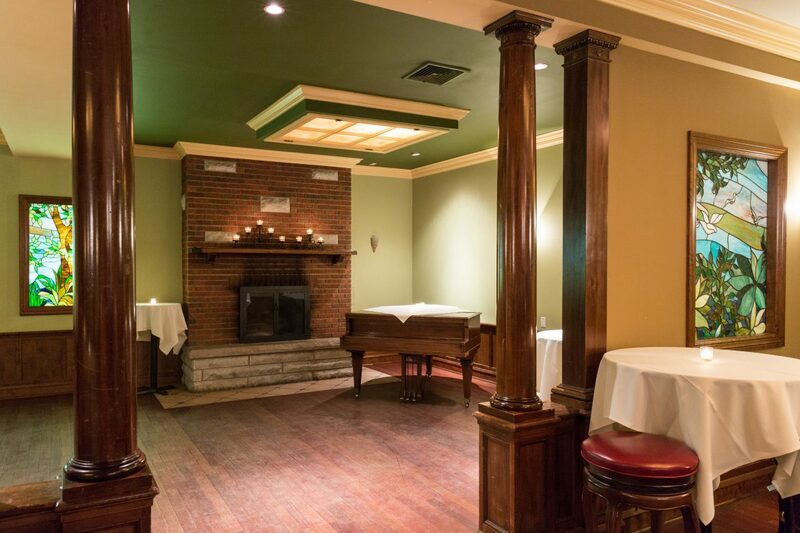 This room is perfect for rehearsal dinners, cocktail parties, and birthday celebrations. For more information about private events and weddings please contact us or call 312-871-1637.